I saw “American Sniper” earlier and I didn’t formally review it for a lot of reasons. I wanted to think about it for a while. Now it’s received a bit of criticism in the media so I guess it’s about time for me to weigh in with some perspective FWIW. I have a little more practical knowledge about sniping as I ran into some of them out in the field in Vietnam circa ’68 – ’69. They were all specially trained Marines then. For gun nuts, they used Remington Model 70 rifles with 26” barrels and other modifications that weren’t advertised. The ones I saw used 220 Swift rounds as they had an extremely high muzzle velocity (4100 fps if memory serves), a light bullet and a very flat trajectory. Others used traditional 30:06 rounds. I’m stretching my memory now but I believe they could put a bullet behind the ear of a standing person easily at 500 yards. Those distances have extended through the years. Sniping in Vietnam, at least how I understood it having come into contact with them, was to set up shop extremely camoflaged in a remote area with a spotter and high-powered telescopes to wait for a previously determined human target to appear. That target was usually someone in a position of authority in a village that was suspected (with ample evidence) of being a Viet Cong collaborator. They would wait for long periods of time for the “right” shot. The target would step outside his hooch and go down never having heard the shot that killed him. There were other targets but these were the ones I remember hearing the accounts of. Then comes a totally different kind of war, Iraq, where the sniper’s duty is to take out those in an otherwise protected position intent on mayhem toward American troops advancing or searching unsecured areas. This was the duty of Navy Seal sniper Chris Kyle, about whom the film was created. The film depicts days in his life, particularly on the job protecting other troops from hidden bomb-throwers. Brad Cooper does an excellent job in this drama, but alas, there’s a problem with it. The same problem that affected “Selma” recently. What’s portrayed on the silver screen is not necessarily the “whole truth”. 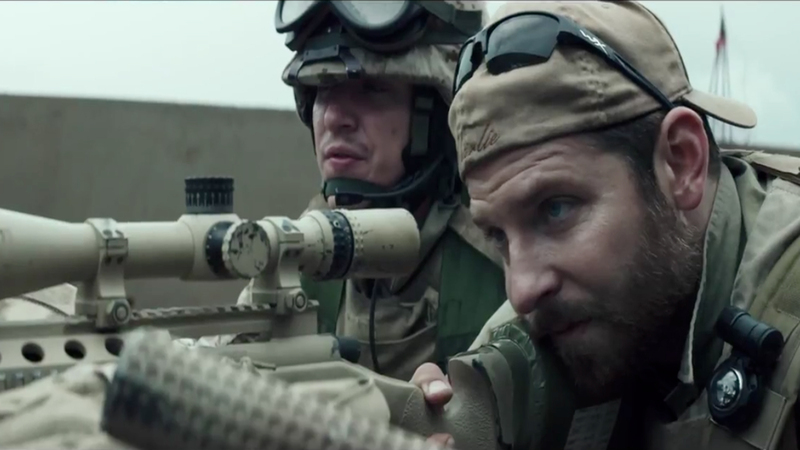 In fact, very little of “American Sniper” is completely true. It is NOT a documentary. If you want to see a documentary, see Ken Burns. “American Sniper” is an almost wholly fictional docu-drauma about a guy that really did his best, and a good job as a soldier. The “real” story was highly embellished for the film. Chris had one paragraph in his book about the “other sniper” Mustafa and had no contact with him. This character was actually taken out by another American sniper. Chris was not the “deadliest” sniper in war history. 160 kills is not even close to a record. An Italian sniper in WW 2 took out over 400. A Finnish sniper took out over 500 Russians. Chris did not shoot a boy with a grenade. Chris never used a satellite phone to call his wife during real action. Chris did suffer three gunshot wounds and was injured in a helicopter crash. He had numerous surgeries. He was awarded two Silver Stars and five Bronze Stars with Valor, so he was an authentic “hero” in every respect. I personally know Marines that did all this and no one knows their name. So I’m not happy with the film because virtually none of it is the real truth of the man. It’s the Brad Cooper show and it rates 4 of 5 peeps through a high power scope for good production. 1 of 5 for accuracy, but remember, one rarely if ever gets more than a contrived drama in “real” stories. Sleeper of the year. 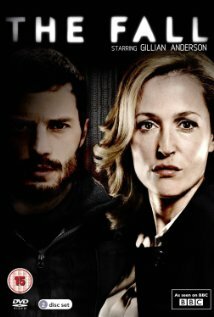 A character study of the relationship between an extremely effective serial killer (Jamie Dornan) and the female detective (Gillian Anderson) pursuing him. Went by in 2013 virtually unnoticed until the 5th and last episode passed, then a second season came up my popular demand from addicted viewers. This mini-series filmed in Northern Ireland with mostly Irish actors is EXCEPTIONALLY good, very close to the ambiance of “The Killing” but not as dark. Created, written and directed by ONE writer much like Sons of Anarchy, so it’s a singular vision, without dilution. Season II ended with MANY loose ends and so a season III is absolutely mandated. However, it’s unclear whether Jamie Dornan will be available if his star takes off in “50 shades of grey” opening Valentines Day. A great many enthusiasts are hoping for Season III. It gets 5 of 5 icy glares. A MUST SEE on Netflix.